The Portland Sea Dogs topped the Bowie Bay Sox (BAL) 9-7 in what turned out to be a high-scoring affair. The Sea Dogs took command of the game early, scoring four runs in the bottom of the first inning. The rally was started by Shannon Wilkerson's lead off double, one of two on the night, and was capped by Derrik Gibson's first of three doubles, which plated two runs. Sea Dogs starter Henry Owens, who was recently promoted from High A Salem, held the lead for Portland, although he only pitched four innings. They were an impressive four innings, however, as Owens struck out eight against only one walk. After Bowie scored five runs in the top of the seventh to tie the game up, the Sea Dogs quickly responded with two runs in the bottom half of the inning on a two-RBI single from Kevin Heller, which proved to be the difference. The Salem Red Sox, buoyed by a 12-hit offensive attack, bested the Winston-Salem Dash (CHW) 10-4 Friday. Although the scoreboard indicates a lopsided result, the Red Sox were actually trailing for about half of the game until a seven-run sixth inning. Entering the bottom of the sixth, Salem trailed 4-2. Three consecutive hits by Matthew Gedman, Cody Koback and Carson Blair led to the inning's first run. A fielding error loaded the bases for Deven Marrero, who drew a walk. Stefan Welch doubled, which plated two runs, and was followed by a sacrifice fly that scored Marrero. The next batter was Mookie Betts, who blasted a home run to left field, his third with Salem and 11th between leagues. Salem starter Mike Augliera was able to hang on long enough to benefit from the rally, picking up the win. Augliera gave up four runs on eight hits and one walk. The Greenville Drive's offense exploded Friday, as an 18-hit and 14-run barrage was too much for the Asheville Tourists (COL), who fell 14-1. Leadoff man Sean Coyle (pictured), who recently returned from the disabled list earlier this week, had himself a night, going 4 for 5 with four runs scored and three extra-base hits, including a three-run home run. Following Coyle in the batter order and in performance was Reed Gragani, who went 3 for 5 with three runs scored. Drive designated hitter Mario Martinez drove in five runs in the game, going 2 for 6. Hidden by the offensive onslaught was the pitching performance from starter Justin Haley, who gave the Drive seven strong innings. Haley scattered five hits and surrendered no walks in the start while striking out nine. The sole earned run given up lowered his season ERA to 3.59. 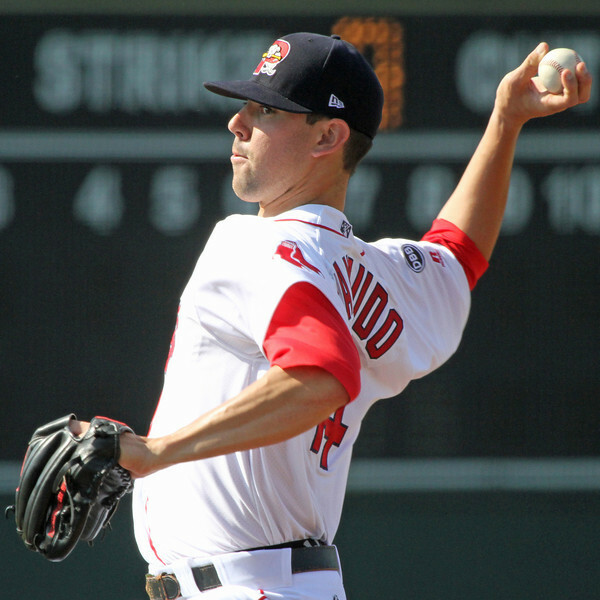 The Lowell Spinners fell to the Staten Island Yankees (NYY) 5-4 Friday. After trailing 5-0 after the third inning, the Spinners took the momentum following a four-run top of the sixth inning. However, Lowell was unable to muster the extra run to tie the game up, leading to the loss. In the sixth, the Spinners managed to plate four runs without an extra-base hit, relying on singles and walks. Of the only five hits collected in the game, Carlos Asuaje had two, including an RBI-single in the sixth. Spinners starter Corey Littrell lasted only 2 1/3 innings, giving up three earned runs on three hits and two walks, while striking out four. A bright spot in the Lowell bullpen was Francisco Taveras, who struck out five batters in 2 1/3 perfect innings of relief. The DSL Red Sox topped the DSL Astros 2-0 Friday led by an outstanding pitching performance. Red Sox starter Daniel Gonzalez hurled six strong innings, giving up only three hits and zero walks in seven innings pitched. Gonzalez, who picked up his second win of the season, has posted a 1.14 ERA in 39 1/3 innings this year. The eight-hit Red Sox attack was led by left fielder Raiwinson Lameda, who was 3 for 4 with a triple. The game's two RBI came off the bats of Javier Guerra and Isaias Lucena. The GCL Red Sox held on to defeat the GCL Twins Friday by a score of 3-2. All of the scoring in this contest came early on, as the Twins took a 2-1 lead after the bottom of the second inning. The Red Sox would quickly respond with two runs of their own in the top of the third after a pair of singles from Mike Meyers and Nick Longhi. Red Sox starter and 2013 first-round selection Trey Ball only lasted 1 and 2/3 innings as he gave up two runs on two hits and two walks. Ball was followed by Randy Perez, who tossed five strong innings of relief. Player of the Day: Greenville Drive second baseman Sean Coyle, who started the season at Salem before being sidelined with a knee injury, made a statement on his rehab stint on Friday. That statement was "I'm back." 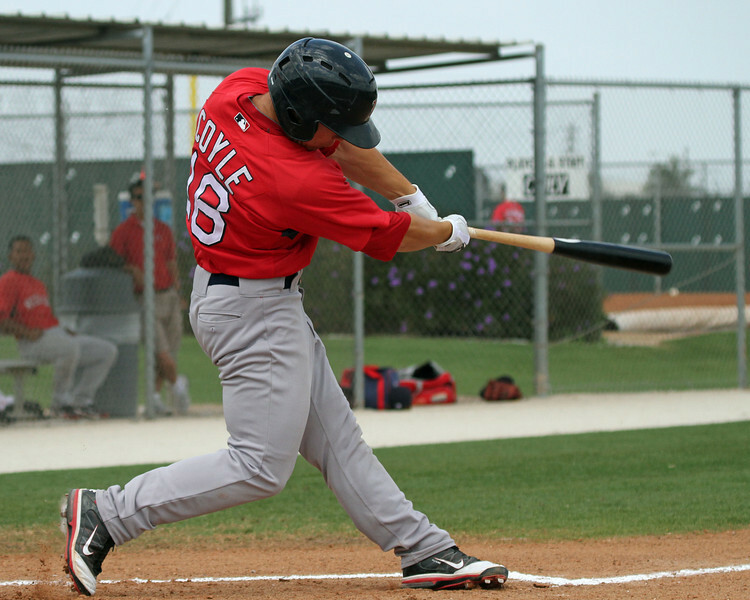 After going 0 for 5 the night before, Coyle went 4 for 5 with three extra-base hits, including two doubles and a home run. He also collected four runs scored and four RBI in the 14-1 route. Photo Credit: Tony Thomas and Sean Coyle by Kelly O'Connor.